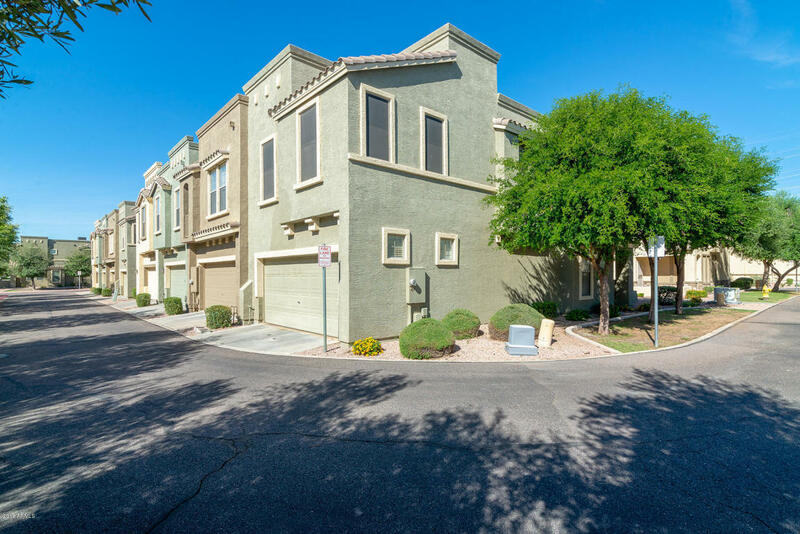 You'll love this gorgeous 2-story townhome conveniently located to both interstate 60 and the 202 Red Mountain freeway! This 3 bedroom, 2.5 bathroom home boasts walk in closets in both spare bedrooms and 2 walk in closets in the master! The 2-stall epoxied garage with additional storage space is a rare find. There is surround sound throughout, and a modern kitchen with matching stainless steel appliances! This charming home offers a lovely patio, balcony off of the master, a large green space, and is situated in a friendly gated community with pool and spa access! Don't miss this lovely low-maintenance home! At this price it won't last long!